4 Real-Life Proposal Stories That Will Make You Go "AWW!" Proposals are just magical. 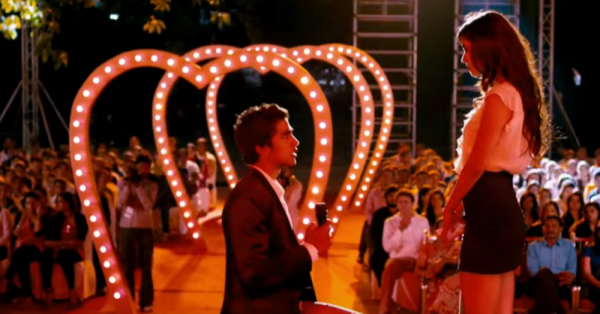 Every girl wants a perfect proposal, but wait, it’s not just that. We also love to hear proposal stories. So here, Quora has some of the most adorable proposal stories and we’re sure you’ll love them all. Happy reading, guys! Deepak Arya answers on Quora Two months have passed from the day when she got married to a stranger. Today she is walking down the beautiful roads of Milan with him. Suddenly, she looked around and he was not there. She panicked and tried calling his cellphone but it was not reachable. “Where in the world he could have gone?” she thought. After searching and waiting for few minutes she saw him coming towards her with a smile. Well, she was obviously angry because he had disappeared without telling her. While she was almost about to lash out on him, when suddenly he took out a bracelet and placed it on her hand.It was the same one that she couldn’t buy yesterday as it was already taken by someone. "I know we got married due to pressure from our parents but I think I have fallen in love with you. I can't ask you to marry me again (She giggled). So I want to ask - Will you be my soulmate?” he said with a smile. She nodded while tears rolled down her eyes. 2. A love story that’ll make you go aww! Lovish Jain answers on Quora She : "Who is that girl you like?" Me : "There is no one." She : "No, you are lying. There is someone for whom you write those romantic poems." Me : " OK I confess. Yes!! there is someone." She : "Woohoo!! Tell me something about her?" Me : "She is the second best beauty I have seen in my life." She : "Ohoo!! and what is the first one?" Me : "Her Eyes." She : "Ahaa!! Now reveal her name." Me : "It's you." 3. A love story over a mobile conversation! 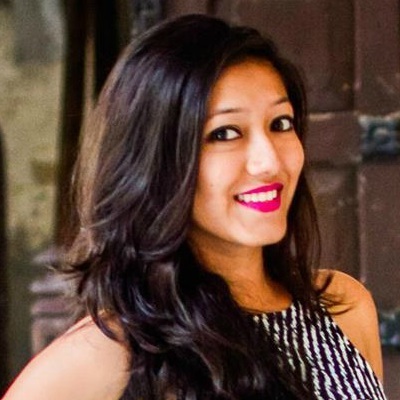 Sunil Kumar Gurjar answers on Quora As Reeta walked home, her phone started ringing. It was Gaurav, again. "Will he ever propose to me? He is so shy. I have to confront it to him or I am gonna die single," she thought. She picked up the call with a smile and the sweet voice rang through her ears. "A friend of mine saw us together tonight and asked me if you were my girlfriend. What should I tell him?" Gaurav said in an excited tone. She stood there shocked and after a few moments replied, "Tell him, ‘no, she's not my girlfriend’." "Okay," Gaurav said, sulking. Reeta: "Tell him that she'll be your wife soon." Now it was Gaurav's turn to be shocked. But at the same time, he was on cloud 9. Both of them couldn't stop the endless smiles that night. And it was done. No flowers, no long letters, no fancy items of love and not having to wait for the perfect time. Vaibhav Chawla answers on Quora (Unread messages on Ayan’s phone) “Hey Ayan ! You there?” “Listen! Sorry for disturbing but are you awake? It's important.” “10 minutes have passed. He didn't read any messages. Last try, I will sleep if he doesn't reads them now” Anjali thought. (Unread messages on Ayan’s phone) “Ayan! Wake up. I need your help. I am hit and it hurts. I am not able to sleep.” “Wake up, please. It’s urgent.” Ayan didn’t read any messages that night. “It's 3:00 am now. He still hasn’t read. I will kill him tomorrow. No, I won't talk to him tomorrow. Can he not wake up for me,” Anjali finally gave up and slept. Next morning when Ayan woke up and saw the messages: “Is she alright ? Why the hell didn't I wake up?” Ayan freaked out and frantically dialled her, but she didn’t answer. He went to college, but she wasn’t there as well. He decided to visit her house. He reached her house and knocked the door. She opened the door and looked fine. “Anjali, are you all right ? I am sorry I couldn't pick your phone. What has hit you? God, I was so worried,” wailed Ayan. “Yes, I’m hit but it's not what you think. It hurts sometimes but it's sweet. It doesn't pain,” said Anjali and smiled. "Anjali, what are you talking about? You are hurt but it's sweet. You couldn't sleep and it doesn't hurt? I’m confused,” said Ayan. “No! I mean yes, I am hit but I am not hurt. You are getting it wrong. That blind fella hit me with an arrow and I don't know what to do.” “What?” Ayan asked without any sign of understanding.